Their calculating and uncaring attitude is recognizable. Whereas people who heartily act in the interest of others are gracious, they are perfunctory. At best, in establishments that demand courtesy from employees, their behavior is irreproachable, albeit artificial. ?Can I be of assistance? Here you are. Will there be anything else? You?re welcome? ? no genuine attempt at pleasing, just a vapid exercise in politeness and efficiency that follows a procedure and arouses a feeling of satisfied indifference as would a serving of plain noodles. They do the minimum that is required of them, to maintain their employment, and gladly do nothing provided they get paid all the same. They never miss a break. Come the end of their working day, they rush out before the first second of the next hour has passed. They live for their time off and dream of a permanent vacation, as though leisure were the essence of happiness. What about the dignity of making oneself useful, which is the antipode of this levity? What about love ? I mean the desire to live usefully in the service of others? This desire builds on gratefulness, with a view to worthiness. I start from the assumption that love is a characteristic of people who appreciate living in society, thanks to a combination of positive attitude and relatively favorable social environment. To sum up, the more they love life, in company with others who take part in their life, the more they love others. Now, feeling this love is one thing, acting upon it is quite another, which needs courage. Actually, a lack of courage would not only render this love inactive but also tend to destroy it in order to avoid shame. The mind is a double-edged thinking tool that can cut its way in and out of truth by means of veracious statements or specious arguments. Love may be denied despite every reason for loving. 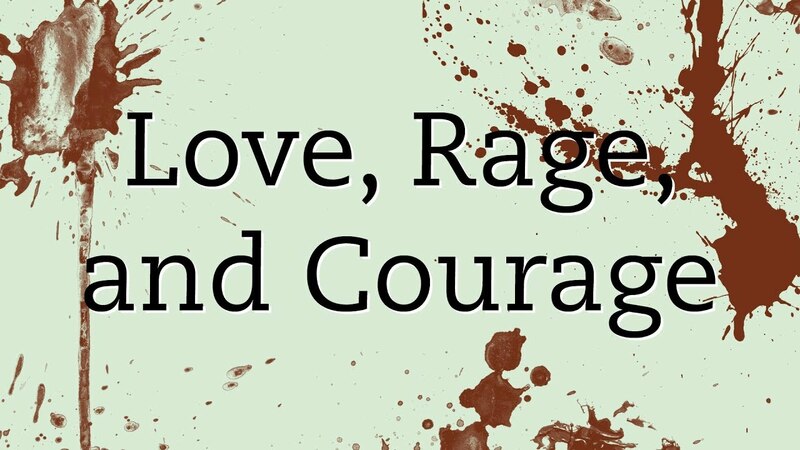 Therefore, courage is a rich trait of character without which love is unable to flourish, neither as an emotion nor as an action. Of course, where laziness and cowardliness have rotted or stunted love, dignity ? which stems from the act of loving ? is but a potential bloom. May courage be cultivated! I hate to think that the soul has such a capacity for beauty and yet can remain undeveloped, morally retarded, as ugly as a shriveled growth that an earnest gardener could have transformed into a heavenly rose. Some dream of equal opportunities for everyone. Will this dream someday become a reality? Everywhere in the world, it meets with inequality ? between those who are born lucky and those who are not, relatively speaking. Is it a lost cause? I believe so, though I am a firm believer in progress. Even a welfare state with the most extensive social assistance could only reduce this inequality, not eliminate it. Forget perfection, which is deadly and imperfect after all: an illusion. However bright the future may turn out, it will not be without shadows. Unhealthy, unwise, unsuccessful, unhappy, and unkind adults will keep bringing children into the world. Assuming these children will benefit from improved relief measures, they will nevertheless suffer from a difficult youth, lacking in the material and spiritual advantages luckier children enjoy. Like their previous counterparts, they will be confronted by the challenge of growing into the opposite of their parents ? that is, into healthy, wise, successful, happy, and kind adults. None but the strong will overcome. Only they will appreciate the divine justice that counterbalances the problem of inequality: The less luck people have at the start, the more merit they have in the end if they make a success of their life. This principle is universal and timeless; it is applicable here and now. May the objects of our compassion fill us with admiration as they rise from their woes to become our heroes!